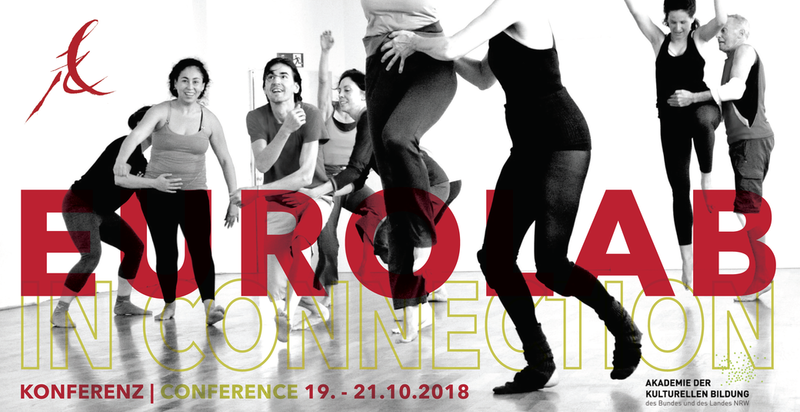 EUROLAB Conference - EUROLAB e.V. 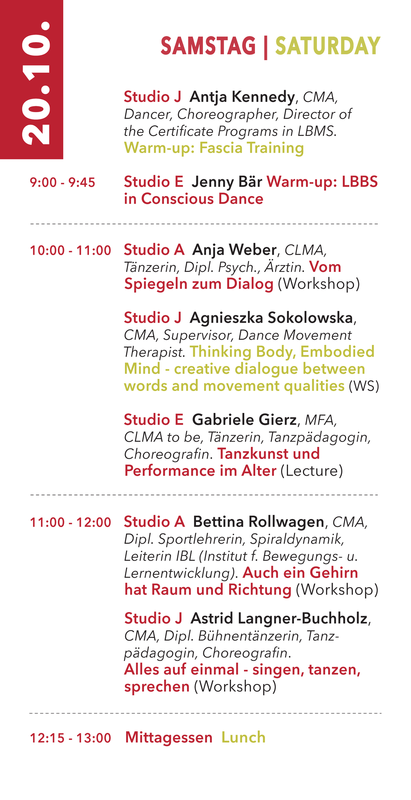 EUROLAB cordially invites to this conference all those who work with dance / movement. 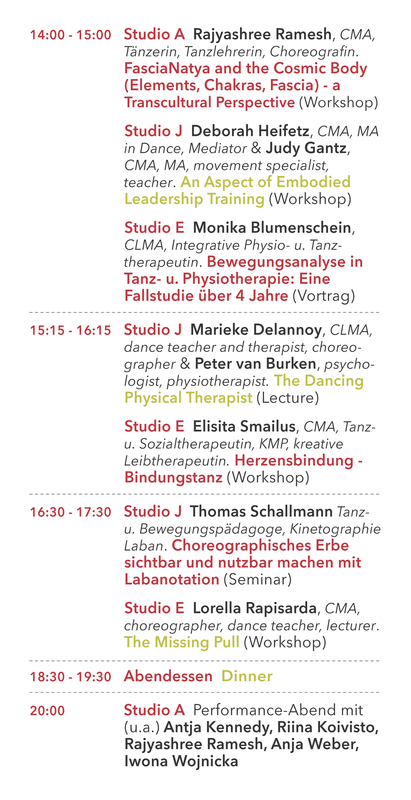 During the weekend at the Akademie of Arts Education in Remscheid, workshops, lectures and performances on dance / movement, dance therapy and work with children / teenagers will be offered by experts. 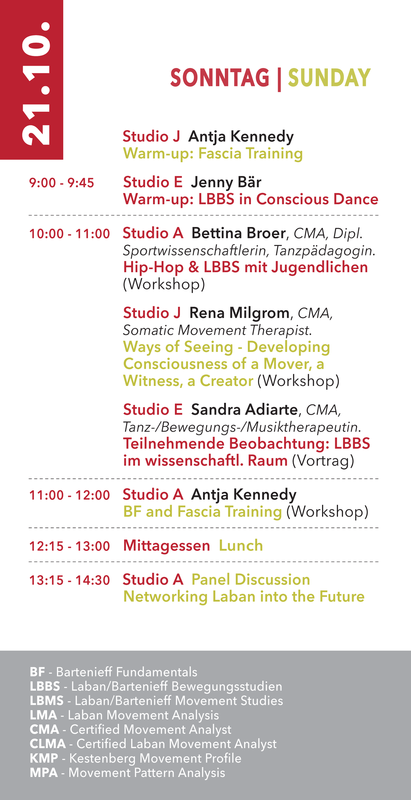 The conference topic is "In Connection to ourselves - with others - to the outer". Accommodation and meals are organized at the Academy. The costs are 106 €. If you have your own accommodation, you can take the lunches and dinners at the Academy. The price is of 40 €. Conference and accommodation spaces will be allocated on a first come first serve basis with reception of the fee. 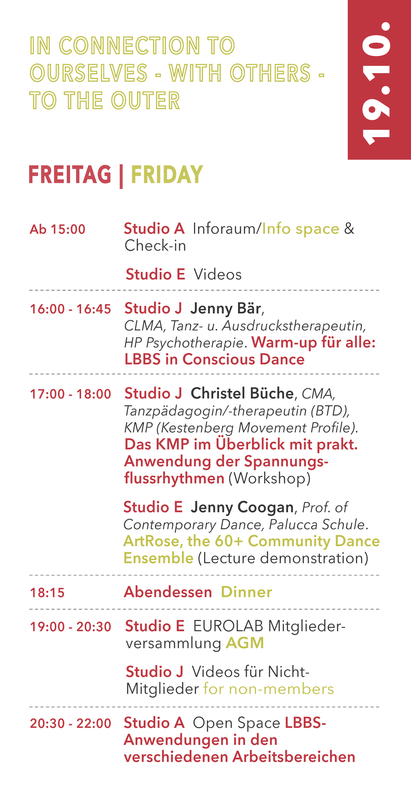 Once registered, if you are unable to attend, a full refund minus a processing fee of 30 € is available up to 4 weeks before the conference (until Sept. 21st.) After that date a full refund is only possible if your place is taken by someone else. 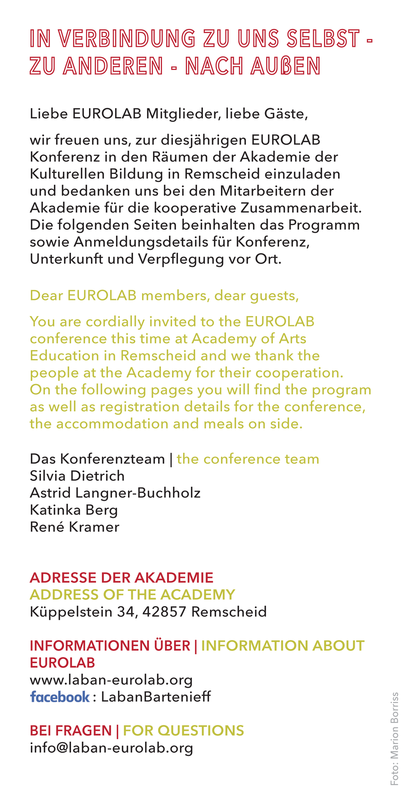 Please note that EUROLAB holds no responsibility for injuries.